TEFL. Teaching English as a Foreign Language. USA 2017 .com TEFL. Teaching English as a Foreign Language. Apply for the course online! Travel and earn money by teaching English! The i-to-i Online TEFL course trains over 5000 people worldwide to teach English as a foreign language. The course is taken by people from all over the world, all ages and sectors. Travel or education is largely their interest. The course appeals to people wishing to travel, work abroad or who are already travelling or working abroad. The course is taken completely online and customers can apply for the course quickly, simply and immediately online. What Exactly is Online TEFL. The Online TEFL Course is an introduction to Teaching English as a Foreign Language that has been available to you through website. Unlike other courses, the Online TEFL Course has no file attachments or downloads, making the learning experience much simpler. Online TEFL is by far the most convenient way to learn to teach English. It can be completed in your own time at home, in the office, or at a location of your choice. But you will never be on your own, a personal tutor will be with you every step of the way. Here's what Online TEFL tutee Mary Grabner said: I thoroughly enjoyed the course and was able to complete it comfortably in six weeks. Although I have some practical teaching experience, the i-to-i course has given me the grounding in teaching methodology/strategy that I was lacking. I found the tutor support and feedback excellent, as is the website and access to the modules. How Does Online TEFL Training Work. start module one within 24 hours of enrolling. submit completed modules via this website. 24-hour access, six months to complete. personal tutor marks every module. feedback within 24-hours of submission. friendly advice at every stage. showing how TEFL works in the classroom. providing a solid grounding in English grammar. thorough preparation for your teaching experience. 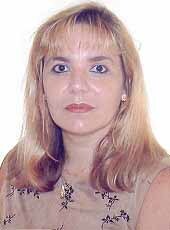 Here’s what Online TEFL tutee Susanne Buckner said: I found this course so convenient and it has highlighted many useful techniques as I have never taught before. The tutor marked the modules quickly and the answers were helpful. An excellent idea compared to the hugely expensive and time-consuming alternatives. What You Will Learn On The Online TEFL Course. 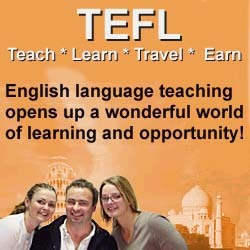 In ten, comprehensive TEFL modules, you will learn how to teach English and find ESL work abroad. You will also improve your presentation and interpersonal skills. With the Online TEFL certificate, you can walk into an ESL classroom with confidence. DETERMINE your students' language needs. TEACH students to speak, read and write English. On Module Six you even get to observe an experienced TEFL teacher in action. Tutees rate this as the best module on the course. Find out about the other nine modules. Here’s what Online TEFL tutee Matthew Chapman said: Everything I learnt on the course was valuable. I really enjoyed the course, I felt it explained all my questions about teaching and helped me gain confidence in my ability to teach English. Thank you i-to-i. Who Takes An ESL Teaching Course. The Online TEFL Course is for anyone who wants to get into TEFL, improve their grammar or teach English abroad next time they travel. What better of funding a trip than by teaching English? a minimum age of 17.
access to the Internet (via PC or Mac). a desire to teach other people to speak English. No formal qualifications are required! Online TEFL Course tutee Jason Clarke said: I started the course while I was teaching in South Korea and it gave me a lot of new ideas for my classes. It also helped me in changing my teaching style and as a result the kids seem more interested in my classes. I would like to thank you for your help during the course. I would recommend this course to anyone who is interested in teaching overseas! Some of Our TEFL Tutors And Their ESL Experience. Alex Semakin – TEFL Tutor. Qualifications: BA TEFL. TEFL Experience: Russia and the USA. Welcome to i-to-i’s Online TEFL! 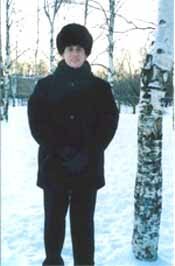 My name’s Alex, and I graduated with honors from Perm State Pedagogical (TEFL) University in Perm, Russia back in 1995. I have worked as an interpreter in the past but chose teaching for my career because I found it to be in greater demand and more creative than translation. In Russia, teaching is a very female-dominated (99% of language teachers here are women) and consequently I was viewed as quite an oddity at first, but then began to steadily build my reputation. In 1996 and 1997 I helped to organize several seminars for local teachers. It was then that I became fascinated by the 'Communicative' approach to TEFL, which contrasted so sharply with the traditional Soviet grammar translation style. Since then, I have been teaching English at two Lyceums (high schools affiliated with universities). The curriculum is highly intensive: 10 hours of English a week for each group, and the students are extremely creative. A lack of classroom materials also pushes my own creativity to the limit. Over the last few years, I have also tried my hand at a number of other roles: preparation courses for the TOEFL (Test of English as a Foreign Language); teaching classes of young children; and also teaching private students whose goals are as wide as their levels of proficiency. Many of my former students now study in major Universities of Russia, the USA, Norway and the Netherlands. I had a pause in my TEFL career back in 1998-99 when I was enrolled in the Creative Writing Program at the American University in Washington, DC. It was in the US that I also tried my hand at Teaching Russian as a Foreign Language and discovered that teaching your own language is a greater challenge than teaching a language you’ve had to learn yourself. I am married with two children - a daughter and a son. 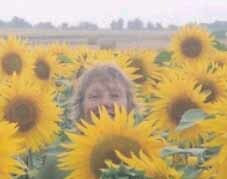 Judy Mabe – TEFL Tutor. Qualifications: RSA CELTA, Trinity TESOL Diploma. TEFL Experience: Italy, France, the Czech Republic, Germany and the UK. I've been in TEFL since 1987 and have taught about 45 different nationalities. Some of the people and places I've been to are unforgettable: the Czech Republic in 1990, when young people were so excited about their new opportunities; the hospitality of a family living in a remote Guatemalan village, whose prize possession was their Singer Sewing Machine; staying with a Russian heart and lung surgeon who smoked 100 cigarettes a day; my very first class of students, who always did their homework; the four-year-old children who loved learning new songs; and the female office workers in Verona who always looked as if they'd just come off the catwalk. I've met some great teachers too! And I remember the woman who came on a weekend i-to-i course because she'd been travelling for 4 years and had spent nearly all her savings. Overall though, I think the most positive thing about being in TEFL for me is having some understanding of the values and beliefs of other cultures. Katia Berntzen – TEFL Tutor. Qualifications: RSA CELTA & DELTA. TEFL Experience: Norway. I have been working as a TEFL teacher for more than 12 years. Twelve very grateful years indeed, since I have always enjoyed teaching a great deal. I finished university in 1989 and moved to Britain in order to study and pass my Proficiency Examination, which I did! After that, I have been through a number of postgraduate and specialization courses including the CELTA (Certificate of English Language Teaching to Adults) and DELTA (Diploma of English Language Teaching to Adults). Over the years I have taught students of different nationalities and believe this multicultural teaching experience has positively enhanced my performance as a TEFL professional. So, I am looking forward to "getting to know" you too. Free Trial Online TEFL/TESL Course. Spend a few minutes and see for yourself how easy and practical the i-to-i Online TEFL Course can be. We have taken some of the key teaching concepts covered in the full course and presented them here for you to sample. Find out how the course works in practice and just how easy it is to learn to teach English. This free trial course will take only about ten minutes to complete. Try it now! Get free trial of Online TEFL course. English language teaching opens up a wonderful world of learning and opportunity! Simple test for TEFL teachers. If you fell that you are ready to play your role as a TEFL teacher... Welcome in!